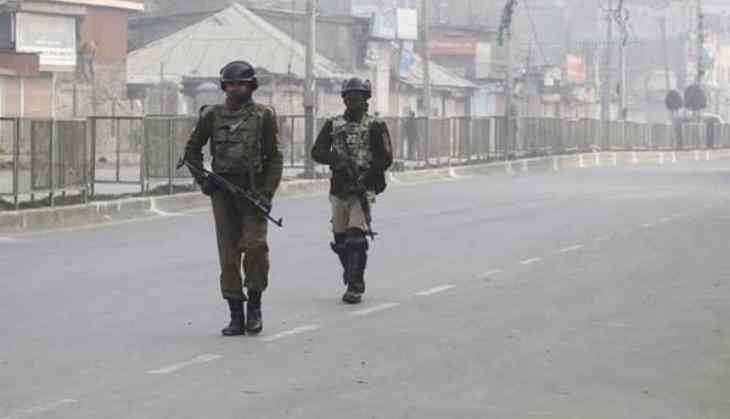 An encounter between security forces and Lashkar-e-Taiba (LeT) terrorists is underway at Hakripora village in Jammu and Kashmir's Pulwama district. According to reports, there are two or three LeT terrorists who are engaged in the encounter. Acting on specific input, joint cordon and search operations (CASO) was launched by 182 Battalion, 183 Battalion, Central Reserve Police Force (CRPF), 55 Rashtriya Rifles (RR) and Special Operations Group (SOG) at 4: 30 a.m. on Tuesday morning in Hakripora village. More details about the encounter are awaited. In the recent past, terrorists have become more active in Pulwama district. On July 30, internet services were snapped in Pulwama after two Hizb-ul-Mujahideen terrorists were gunned down in Tahab area. The troops of 55 RR, 183 Battalion, 182 Battalion, (CRPF) and SOG Latipura had neutralized the two terrorists in Pulwama. The bodies of the terrorists, Tausif and Irfan were also recovered by the security forces, including weapons. Kashmir is embroiled in utter chaos and violence since last year after Hizb-ul-Mujahideen commander Burhan Wani was gunned down by security forces.